Lifehacker found an article from Google’s help center that explains how Google Apps users will be able to access services that require a Google account. Google’s explanation is confusing and it’s not clear why the existing Google accounts won’t be migrated. 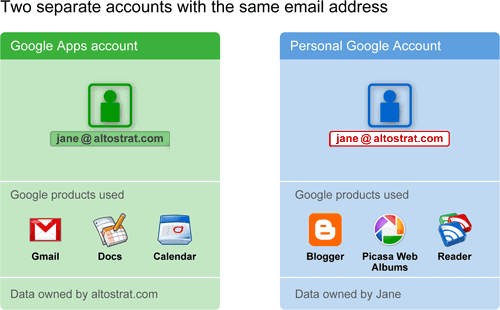 Users will end up with two Google accounts for the same email address and won’t be able to merge the accounts.